Gerald R. Ford, half-length portrait, facing front, with arms crossed. Official White House photograph. 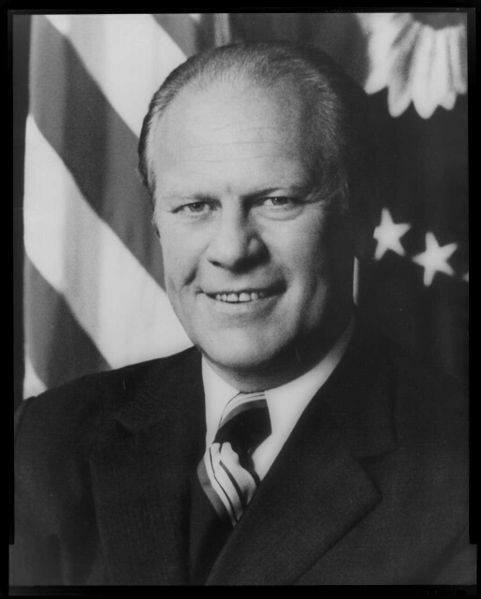 This file has been superseded by Image:Gerald R. Ford, Official White House photograph 1974 (2).jpg. It is recommended that the other file be used. If you just added this tag and want to nominate this image for deletion, please check if it is used and if so replace it with the new image. Does the superseding file have a proper license? Is the representation of the flag / COA / symbol correct? Are the colours of the flag / COA / symbol correct? Is the aspect ratio of the flag / symbol correct? Is the chemical structure the same?